I have a confession to make. I’m a bit obsessed right now. Obsessed about gingerbread! And not just the classic cookies and houses (although I have a recipe for those that I share below). 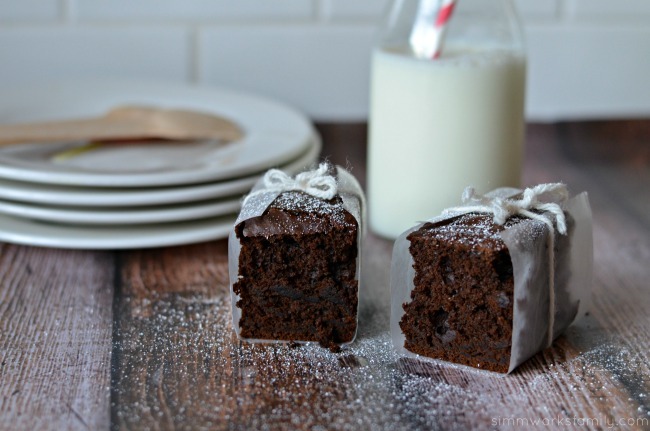 I’m talking gingerbread cakes, gingerbread casseroles, and gingerbread bread puddings! Have a piqued your interest yet? 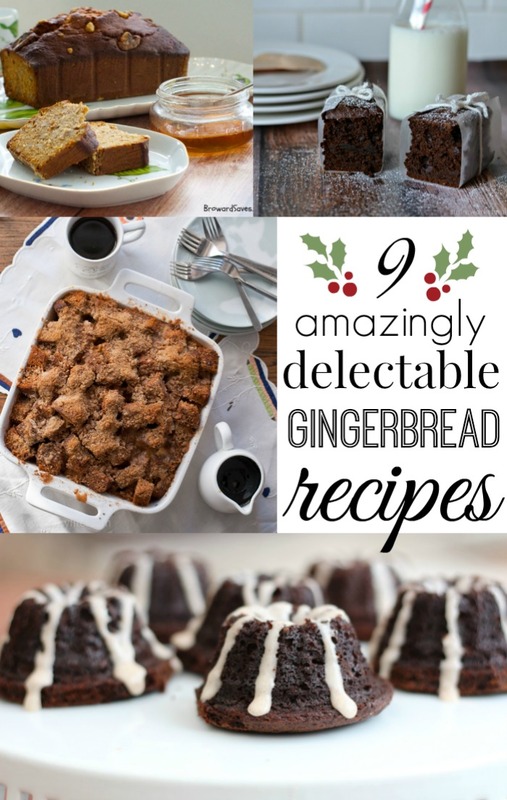 If so, read below to find some deliciously tasty gingerbread recipes from some of my favorite bloggers! 1. As I mentioned previously, I have a stellar gingerbread cookie recipe that can be used any time of the year. And you don’t just have to make gingerbread men (and women) if you don’t like! 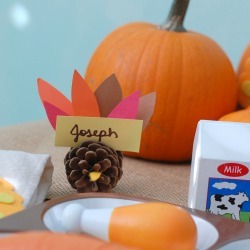 This is great for ornament cookies, various shapes, etc. And the results are a fabulously soft and chewy cookie that’s amazing. Don’t believe me? Try it for yourself! 2. Sometimes the classic recipes are the ones we start to crave. Grandma’s cookies. This old fashioned gingerbread recipe from Vintage Recipe Project is definitely one of those. You can find it by visiting their site here. 3. But enough about the classics. Bring on some new, innovating gingerbread! That’s exactly what Betsy of BetsyLife did in this gingerbread pineapple upside down cake recipe. OMG! Seriously… how good does this sound? I cannot wait to make it this weekend for the family. 4. 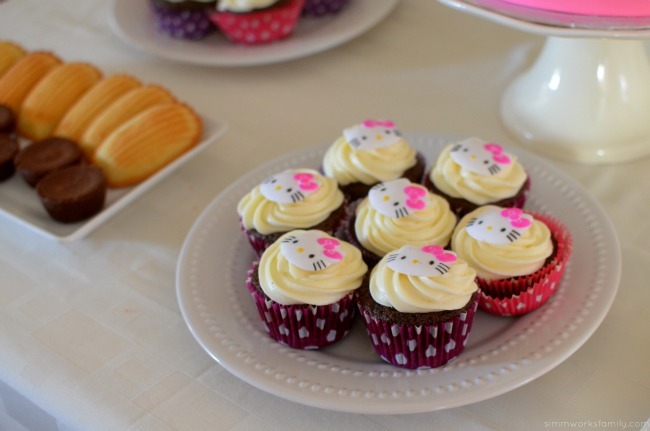 And then there are the cute, mini gingerbread cakes from Made With Happy. Just thinking of them makes me happy! 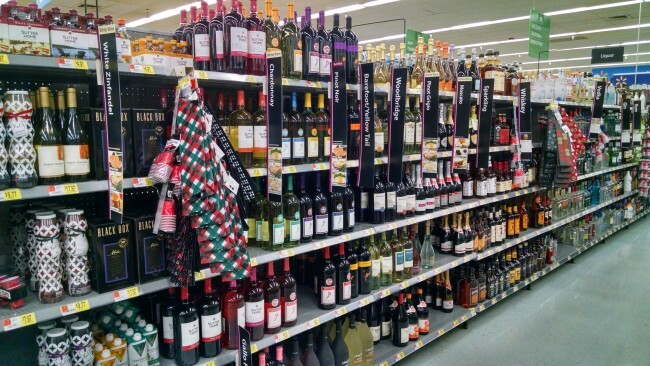 So festive and perfect for parties. 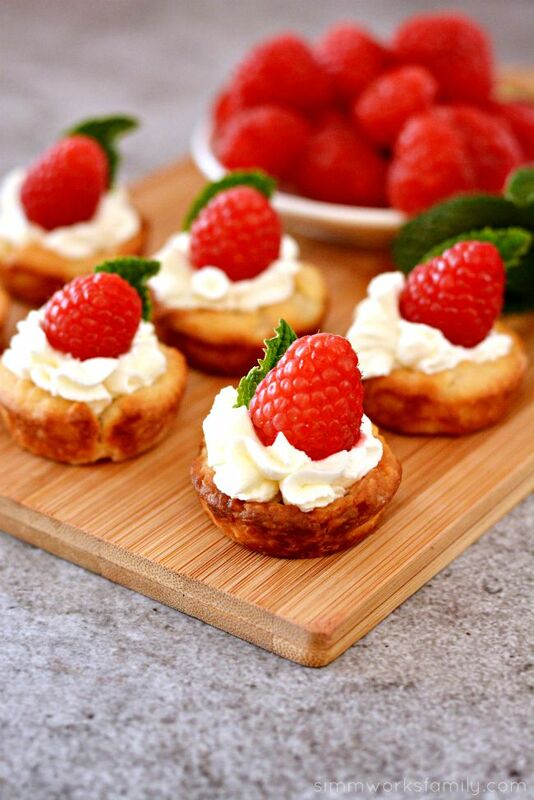 The drizzle of icing makes them even more irresistible. 5. What isn’t better with banana? Living Sweet Moments paired it up with gingerbread wonderfully in this banana gingerbread recipe with brown butter glaze. Sounds just as good as it looks! 6. 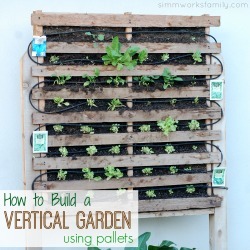 I love a recipe that can also serve as decor as well. And who wouldn’t want these cookies perched on the edge of a mug or added to a place card. These olive oil gingerbread cookies from Family Spice are a bit different than the traditional gingerbread recipe but the results? Well… they’re worth it! 7. 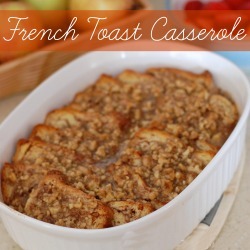 One of my favorite things to make for guests when they come to visit for brunch is french toast casserole. Not only is it super simple to make, but it uses up the leftover bread I might have around that won’t get eaten. How awesome is that? 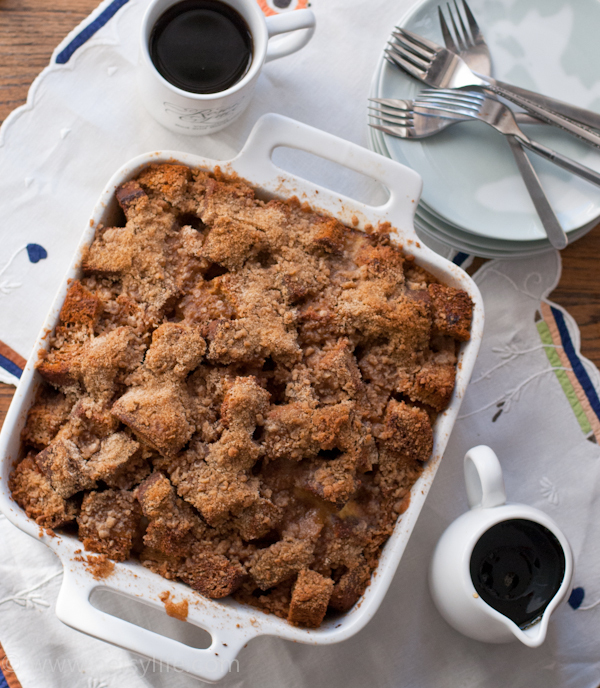 Now this gingerbread french toast casserole from BetsyLife is the perfect spin on this classic crowd pleaser for the holidays. Great for Christmas breakfast! 8. 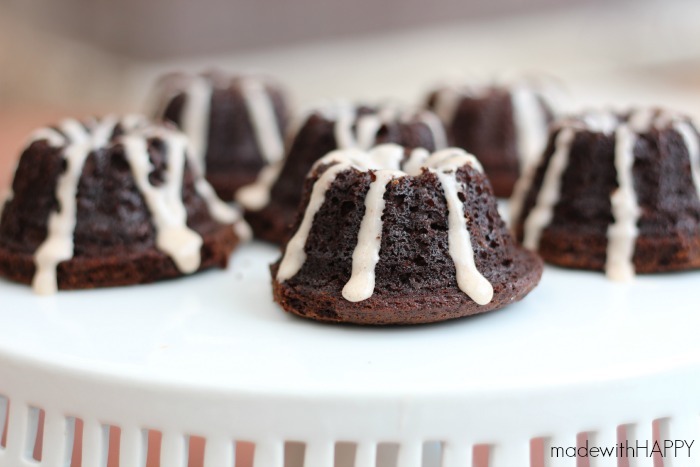 I can honestly say that I’ve never had gingerbread pudding. 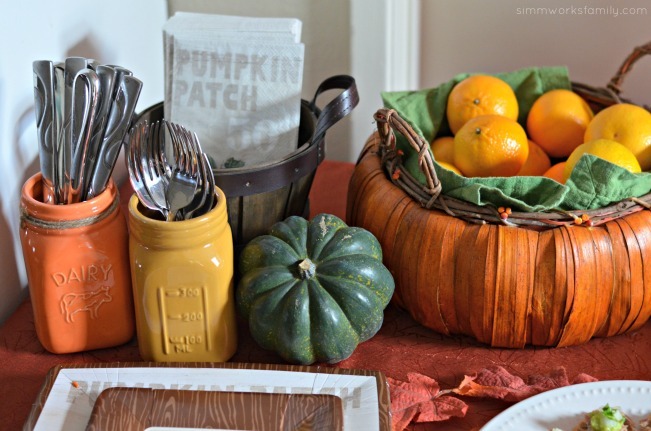 But Texas Type A Mom makes it look so good in this pumpkin gingerbread pudding recipe. What kid would say no to that? 9. 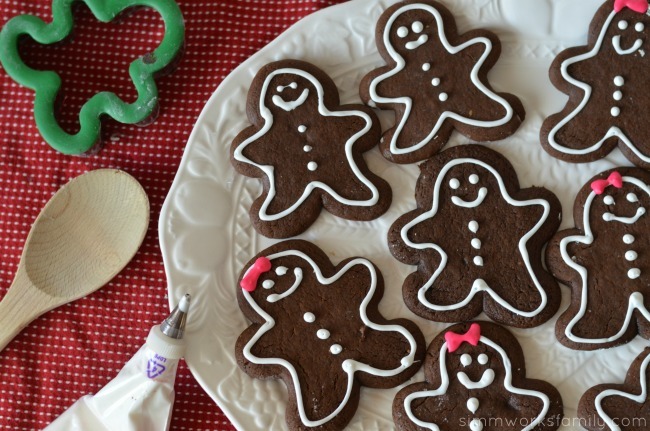 To round out our 9 delectable gingerbread recipes is my favorite one of all. My gingerbread cake recipe. 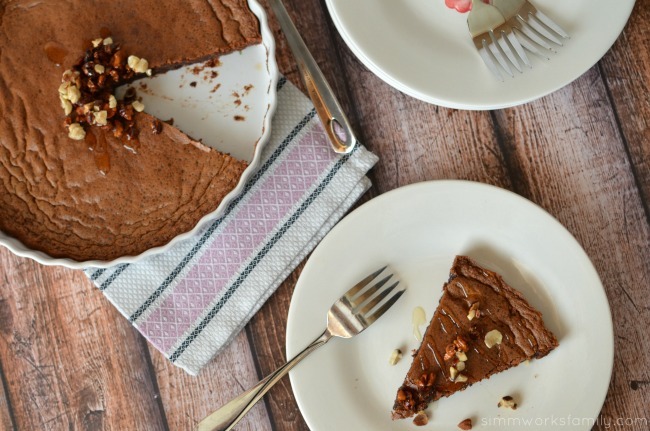 Not only is this amazing cake easy to make, it’s also perfect for breakfast OR dessert and pairs well with coffee, ice cream, or a dollop of whipped cream. 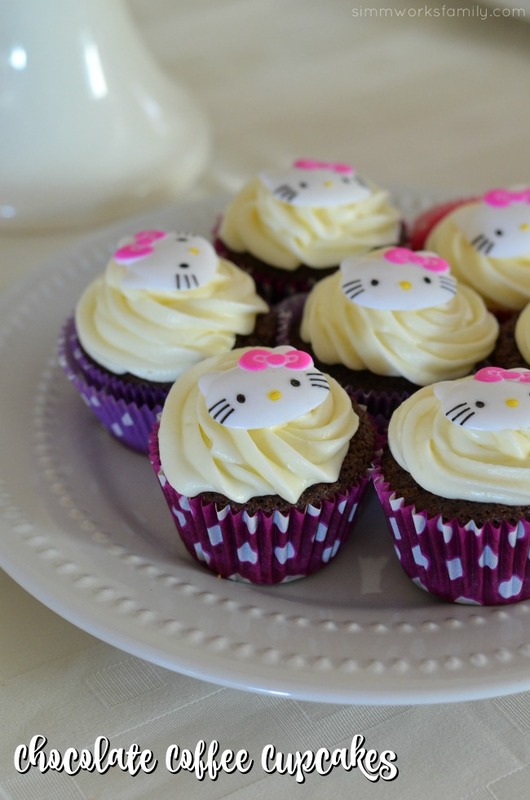 Now it isn’t overly sweet, so if you prefer something on the sweet side, I suggest whipping up some cream cheese frosting. 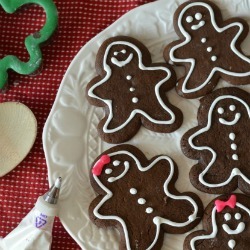 What’s your favorite way to incorporate gingerbread into the holidays? Ah… the holidays are here! And now is the time for holiday cheer… right? One thing I LOVE about the holidays is unexpected guests. Whether it’s friends stopping by to drop something off, family members coming to catch up, or a random neighbor who shows up at your door as you’re sitting down to eat dinner. I’m not joking either. My house may be a mess, my kids may need baths, but I will always have room in my home for our family and friends. Now I would love a little heads up call ahead of time so that I can pretend to pick up before guests arrive. One of the reasons why unexpected guests don’t stress me out, especially around dinnertime, is that I keep a well stocked pantry and fridge. 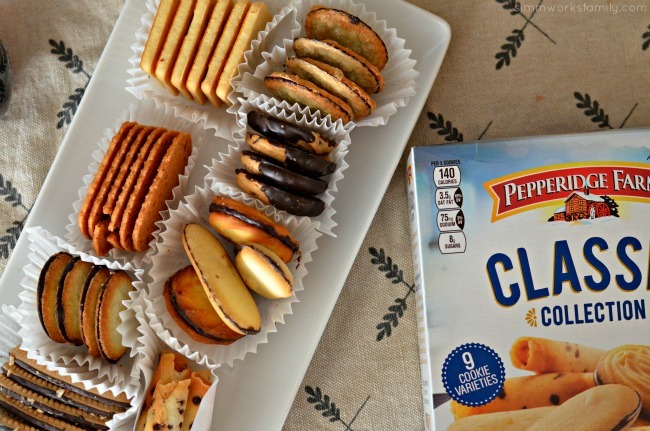 On any given time I can whip out some Pepperidge Farm crackers to pair with cheese and fruit to keep the guests busy while I prepare dinner. And dinner can be as simple or elaborate as I want. I can whip up a delicious pasta dish in less than 30 minutes. Give me 30 more minutes and I’ll have some homemade pudding to make individual pudding parfaits. Sometimes I just keep it basic and put a spread of Pepperidge Farm cookies out. It’s good to keep a box of their Classic Cookie Collection on hand just in case. But don’t think you’ll be getting any of the Milanos out of that package if you’re near my husband. He’ll snag them before you even notice they’re gone! 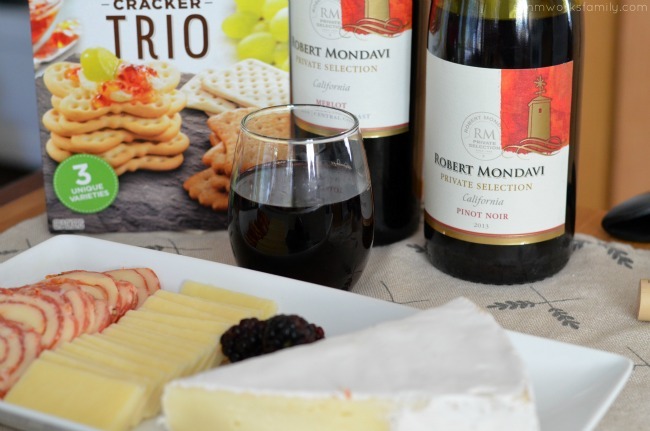 The Cracker Trio pairs well with a variety of cheeses. 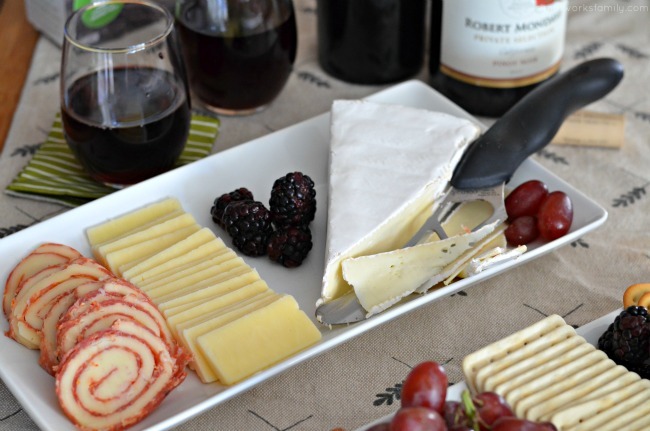 I love the classics – brie, sharp cheddar, and a salami mozzarella roll sliced up. And since we usually have grapes and some sort of berry on hand, we can put out a simple spread to keep appetites satiated. Plus busting out the Robert Mondavi wines helps too. My favorite? The pinot noir. The pinot noir also tastes amazing in this pasta dish I just made recently. 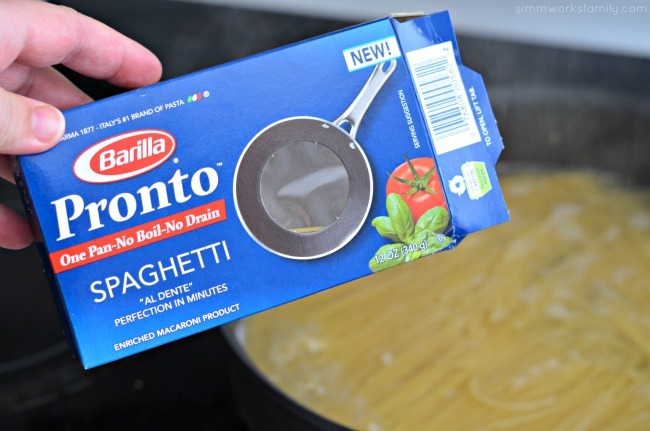 I grabbed some Barilla Pronto spaghetti and was intrigued at it’s claims to be ready in minutes. With my newly inherited electric range, I can’t get pasta to boil in less than 30 minutes! So frustrating. 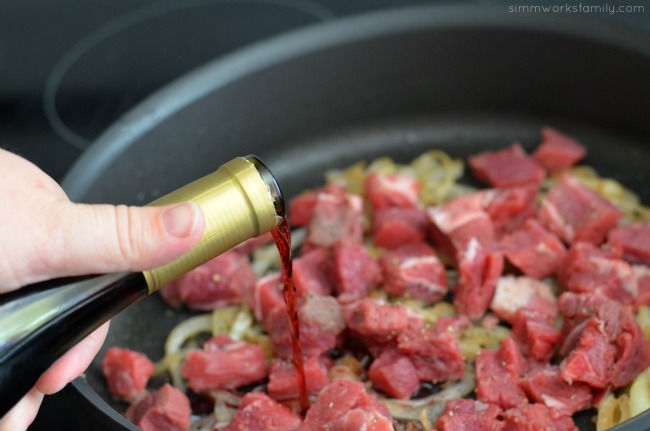 But after sauteing some onions and browning some steak, then de-glazing the pan with a little wine, I removed everything from the pan and added the pasta. Covered with 3 cups of water and cooked it on high for 10 minutes. About 20 seconds till the end of that 10 minutes I had a skillet filled with fully cooked pasta. Amazing. 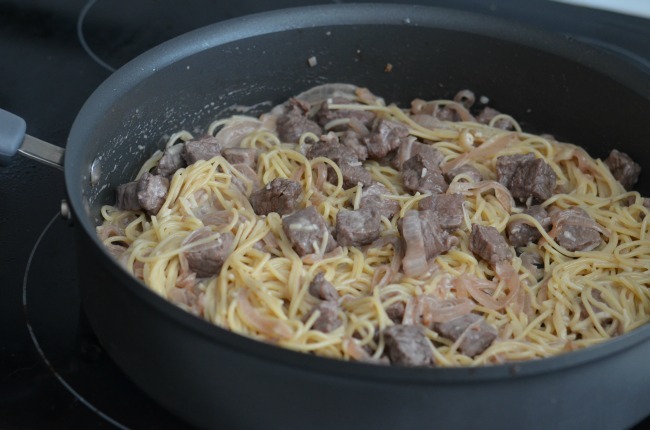 All I had to do was toss the onions and beef in with the pasta and sprinkle with some parmesan to create a delicious one-skillet pasta dish in less than 30 minutes from getting out the ingredients to putting the skillet on the table for dinner. In between cooking the onions, steak, and pasta, I whipped up a chocolate pudding from scratch. It would be the perfect light dessert to end our meal. Plus it was a great way to enjoy our favorite cookies. Pudding is not that hard to make. 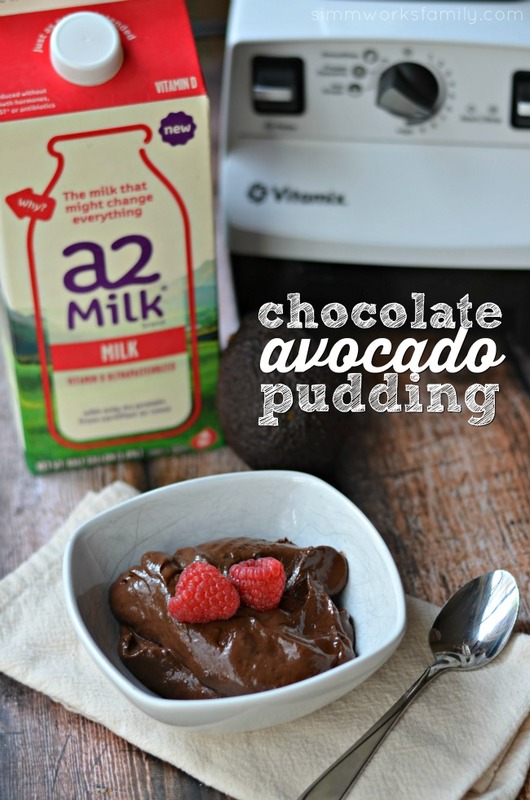 With a few simple ingredients I can make a silky pudding that can cool and set while we eat dinner. Sometimes I even make an avocado pudding. Interesting AND delicious with it’s greenish tint. In a heavy saucepan, heat milk to warm, not boiling. Set aside. 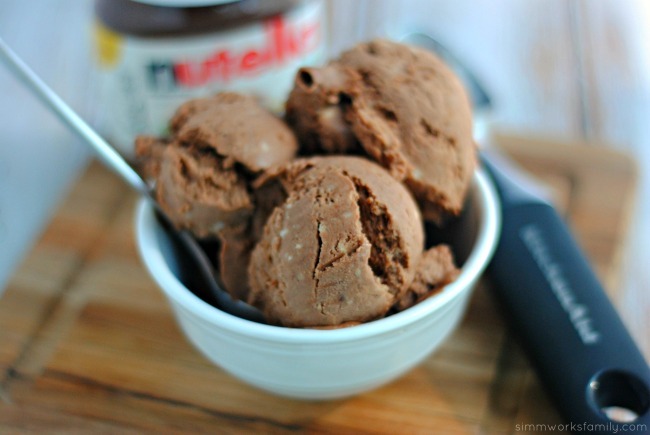 Add sugar, cocoa, and cornstarch into a small bowl and mix to combine. 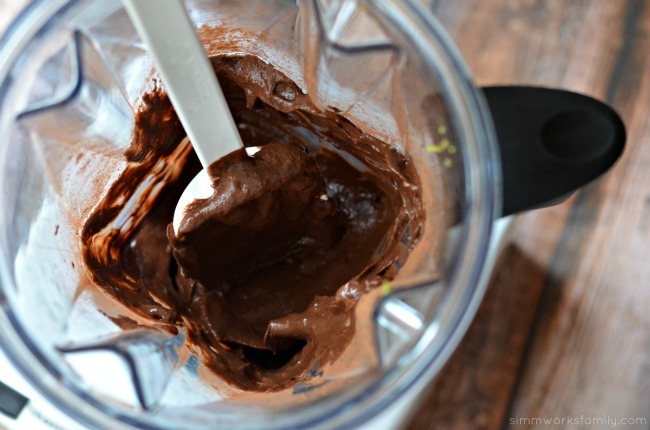 Pour 1 cup of the warm milk into the bowl with the chocolate mixture and whisk. Pour chocolate mixture back into the saucepan with the remaining milk, slowly whisking to incorporate together. Heat over medium high heat whisking frequently until mixture starts to boil and thicken. Remove from heat and add vanilla. 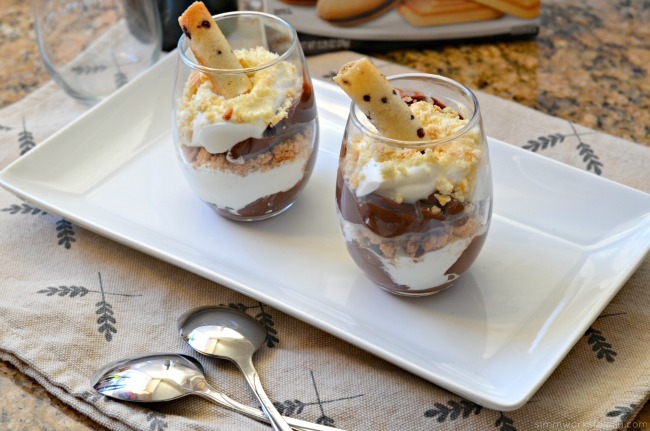 Pour pudding into individual dishes, or one large bowl. Cover with plastic wrap so that a skin doesn’t form on the top of the pudding. Chill at least 1 hour to cool. 1. Using the milk frother, thicken the heavy whipping cream. You don’t want it super thick but thick enough to form a layer between the pudding. 2. 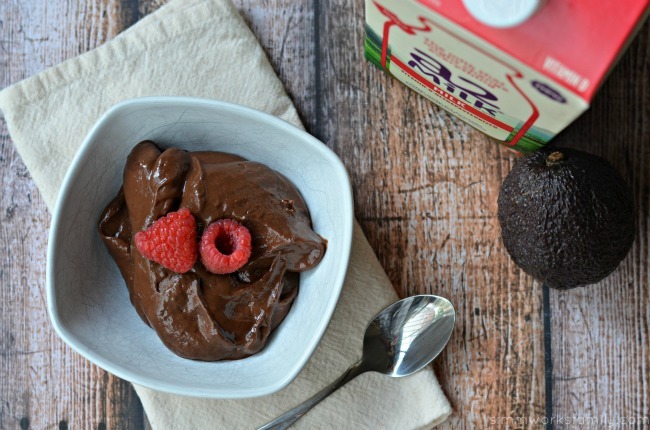 Grab a glass cup and pour in about 1/4 cup chocolate pudding. 4. Add cookie crumbles. I used two types from the Pepperidge Farm Classic Cookie Collection. 6. 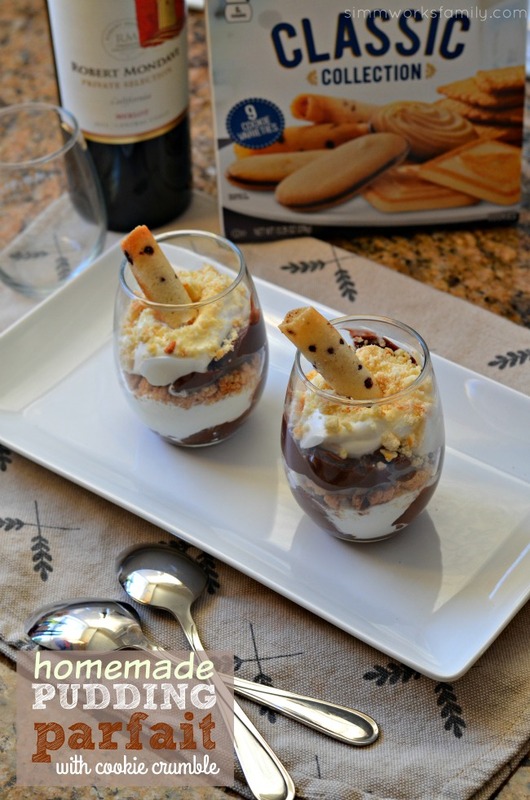 Top with a pirouette or other cookie of choice and serve with a spoon! 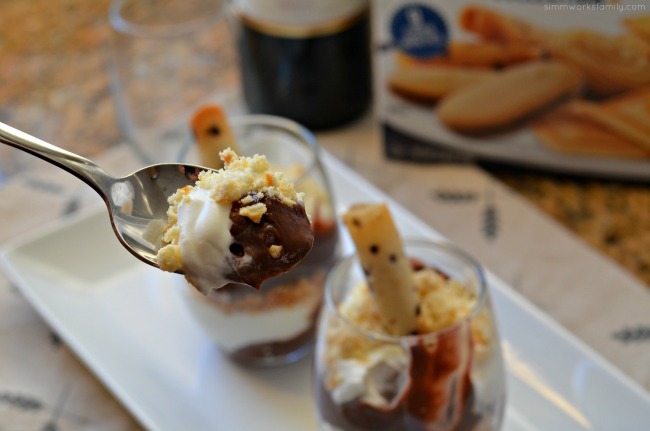 Make sure to visit the Simple Entertaining hub to learn more about the upcoming wine tastings as well as Barilla & Pepperidge Farm demos at select Walmart Stores in November and December. 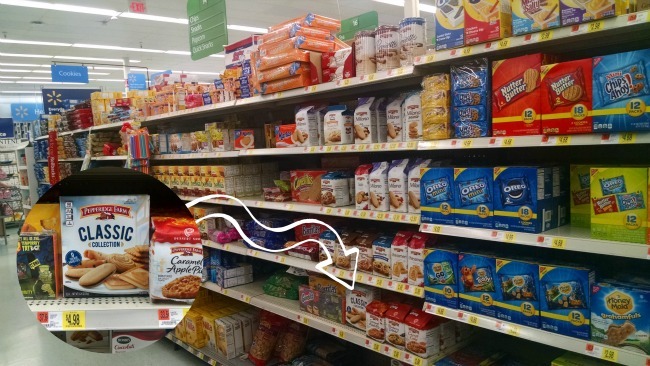 You can find the products I featured above at your local Walmart. 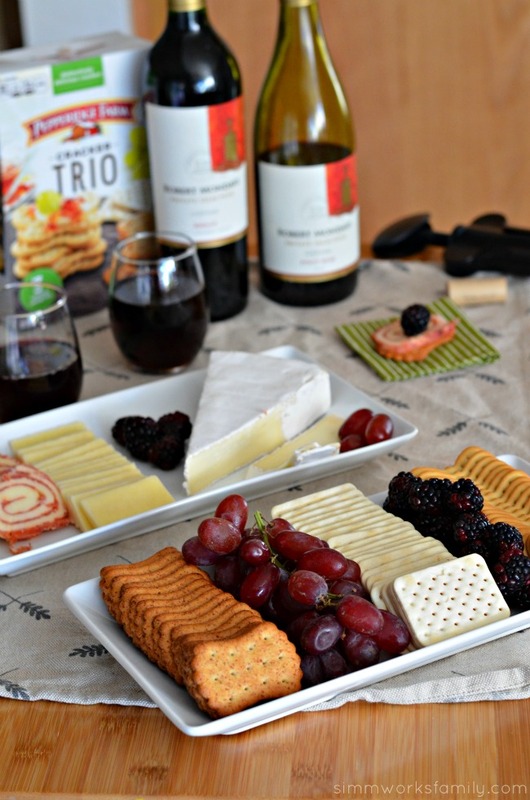 How do you keep entertaining easy during the holidays? Sometimes I just get the urge to bake and create. Nevermind that I’m completely busy and have a very clingy 8 month old (how did that happen??) at my feet or on my hip all day, I can still find time for simple treats. Especially when that involves gifting them to friends. I don’t know why but after having a baby I feel as if my social life goes down the drain. Oh, wait! Yes, I do know why. It’s because I can’t go anywhere past 7pm because the littlest needs her mama cuddles. And I’m totally cool with that. These moments won’t last for long and I’m enjoying them every single night. But that doesn’t mean that I can shake things up and invite the girls over to my place for a girls night in! And a girls night in means treats. 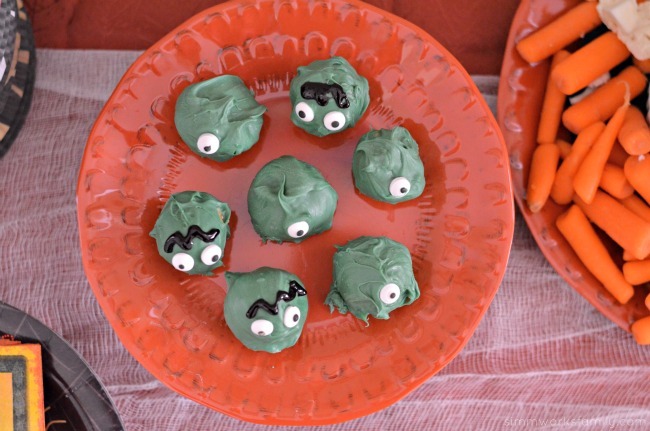 These Chocolate Peanut Butter Ball Monsters are an awesome sweet treat to serve at a Halloween themed party. 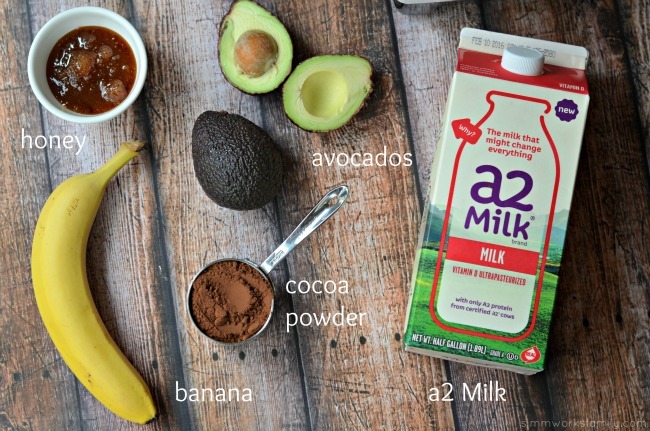 Not only are they super easy to make (you’re looking at the ingredients below), they taste amazing! Like Heaven in ball form. And? This Peter Pan’s NEW Simply Ground peanut butter gives it the perfect amount of crunch with every bite! Why? 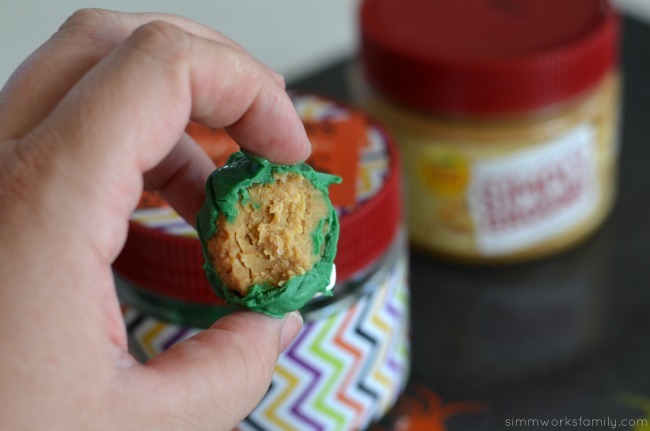 Because you have the smoothness of a creamy peanut butter with a hint of crunch. I also needed a container to send leftovers home with the girls so I upcycled the peanut butter container into a cute gift box. Easy peasy! 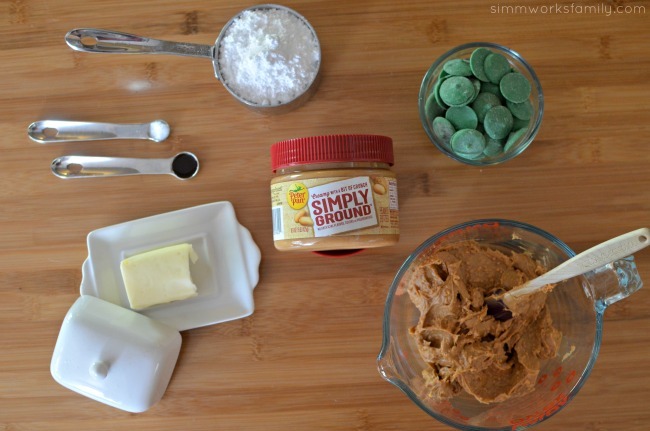 Place the peanut butter, butter, and salt in a microwaveable bowl, and heat in the microwave for about one minute or until just soft (check and stir the ingredients every 20-30 seconds). Stir in the vanilla extract and confectioners sugar and mix until it has the consistency of a stiff dough (add more sugar if necessary). Roll the dough into 1 inch round balls. 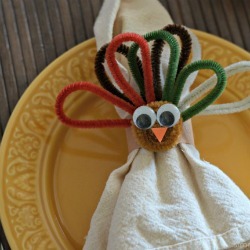 Place on the cookie sheets and refrigerate until firm (several hours or even overnight). 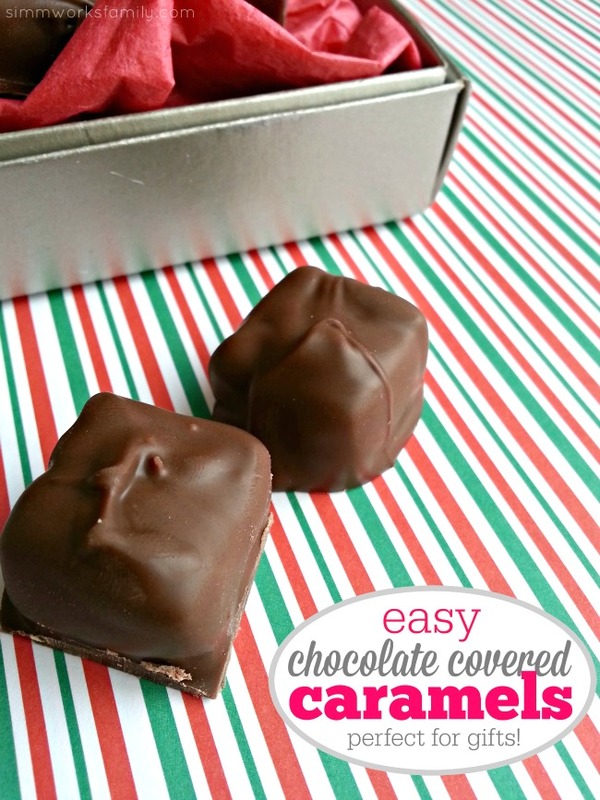 You can also place the peanut butter balls in the freezer and freeze until firm (this makes them a LOT easier to dip in the melted chocolate). Melt the candy melts in the microwave in a microwave safe bowl for 30 seconds. Stir and melt again another 30 seconds. Repeat until melts are completely melted. Dip the balls, one at a time, in the melted chocolate, making sure the entire ball is coated with chocolate. Then, with two spoons or a dipping fork, remove the peanut butter ball from the melted chocolate, allowing any excess chocolate to drip back into the bowl. Place the chocolate covered balls back on the baking sheet. Add a monster eye or two to the balls. When all the balls have been dipped in the chocolate, place in the fridge until the chocolate has set. Once set, add more decorations to the balls if you’d like. I choose to add hair to a few of mine using black icing. Once done, serve and enjoy. Store leftovers in an airtight container for up to two weeks. They can also be frozen but probably won’t last that long. You can taste a little crunch in each bite! 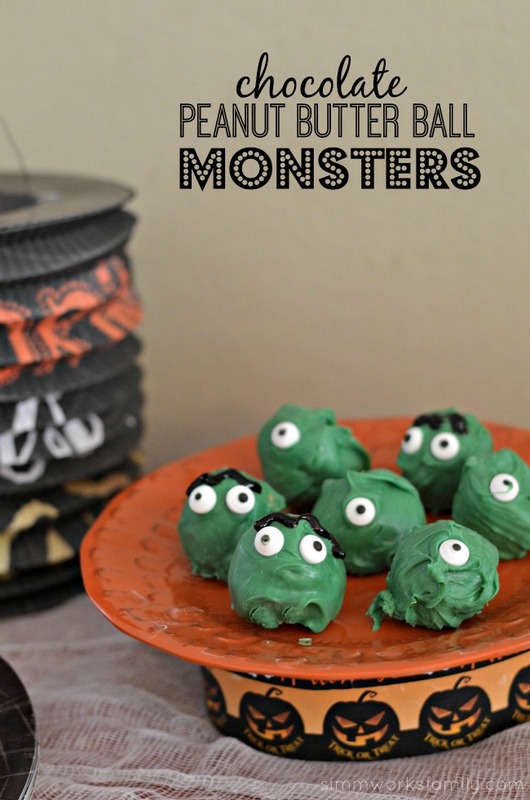 Once you’ve made your monsters, let them chill out in the fridge until your guests arrive. 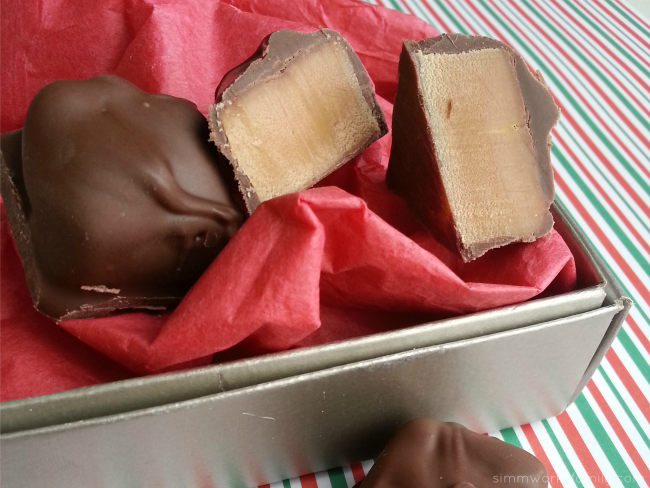 In the meantime you can make some treat boxes for the guests to bring some chocolate peanut butter ball monsters home. 1. 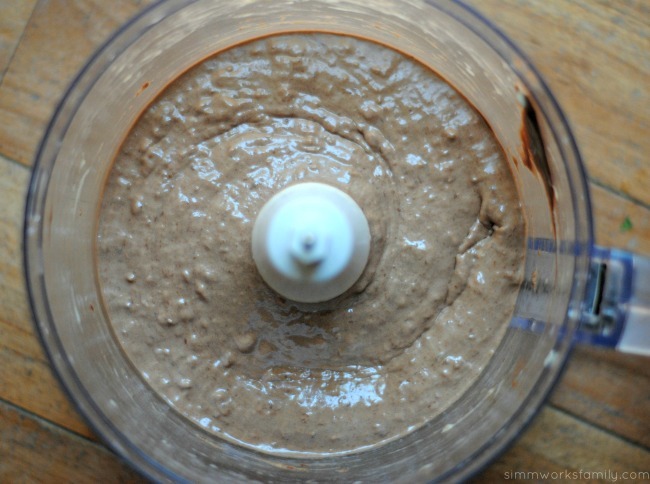 Grab that empty container (or two) of Peter Pan Simply Ground peanut butter and wash it well with hot water and soap. Using a scraper (or a sponge) take the label off completely and throw it away. You should have a perfectly cleaned, clear jar to work with. 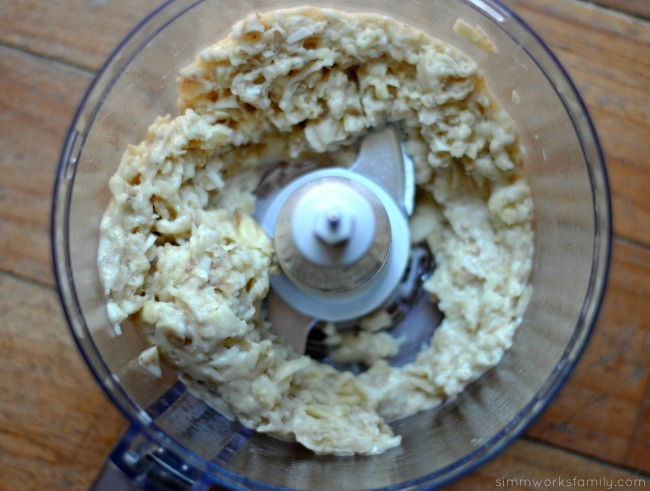 LOVE the wide mouth of this container for easy cleaning (and scooping out the PB). 2. 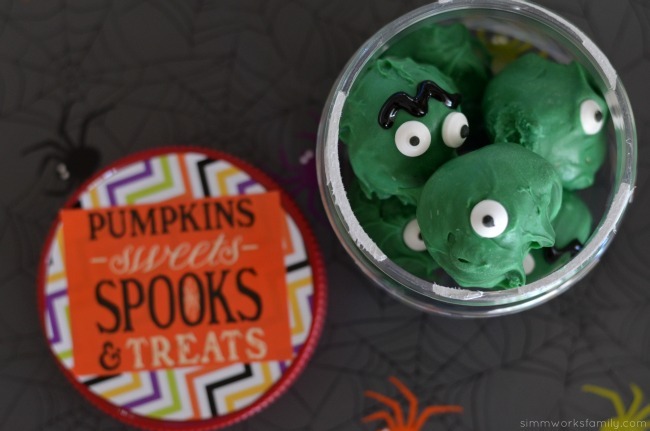 Now you just grab some sticker paper OR duct tape in whatever pattern compliments your themed treat. we had some fun sticker paper we picked up at the dollar store a few weeks ago as well as some Halloween themed stickers so we used those. 3. 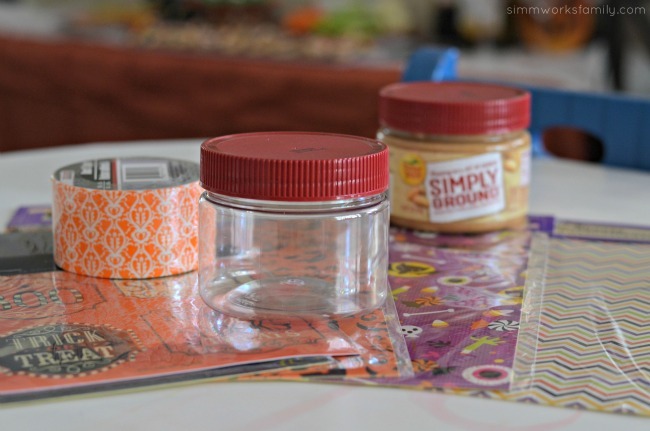 Measure out how wide the strip of sticker paper or duct tape needs to be to wrap around the jar. If you’re using an 8.5×11 sheet of sticker paper, it won’t completely wrap around the jar but that’s ok, it’s nice to get a little peek at what’s inside. Cut the strip after measuring and adhere to the jar. 4. 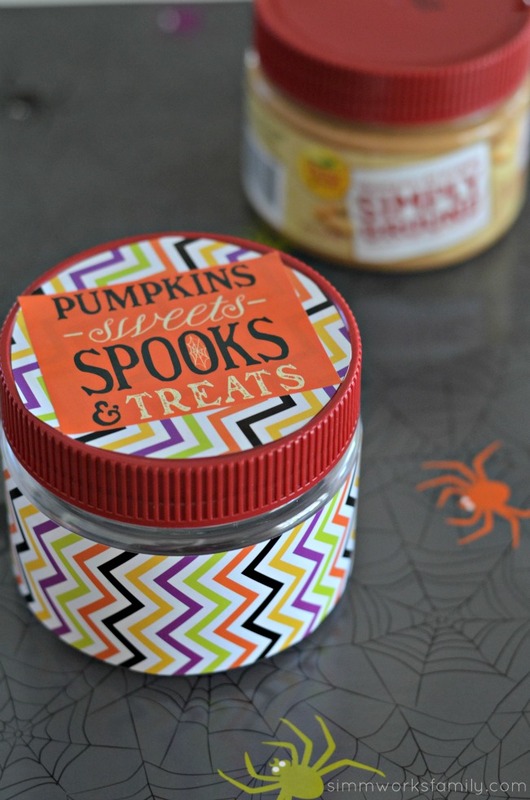 Then grab some twine, stickers, labels, or other decoration and decorate the top of the jar. I simply used the lid as a stencil to cut out a round piece of sticker paper to adhere to the top. Then I cut down one of the stickers to fit and whala! My little peanut butter monsters have the perfect home to travel with my friends. And I don’t have to stare at peanut butter balls all week every time I open up the fridge. I don’t know about you but my willpower this time of year is pretty low so I like to send home as many treats with my friends as possible. Makes it easier on all of us! Except I still have a few jars of Peter Pan’s NEW Simply Ground peanut butter in my cupboard. Did you know that it contains no artificial colors, flavors, or preservatives. And? No need to stir! Plus it comes in a wide mouth jar that makes snacking so much easier. Just open and dip right in! 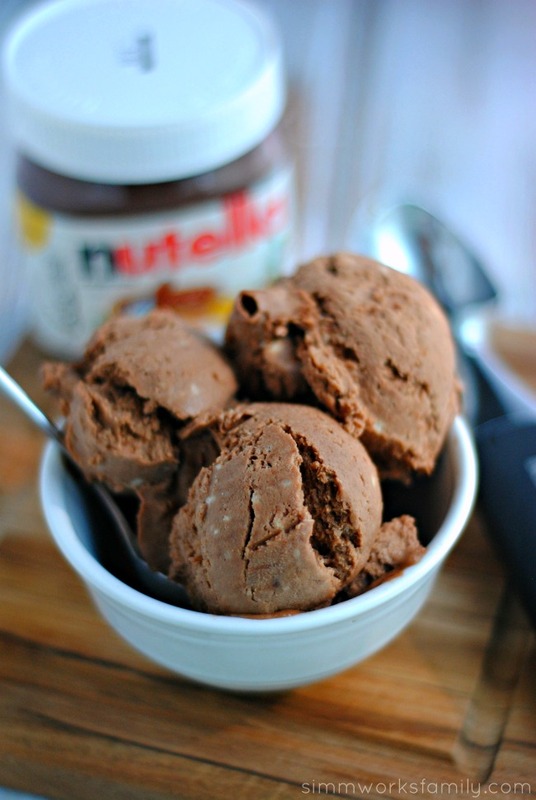 I want to grab a spoon right now. Check out this coupon for a little savings when you pick a few jars up yourself from Walmart. 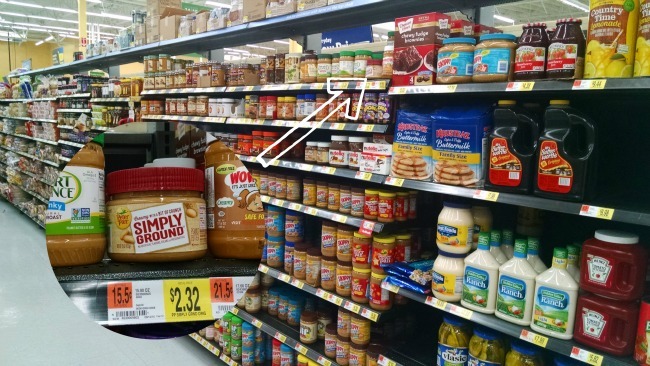 You can find them in the bread aisle with the other peanut butter. 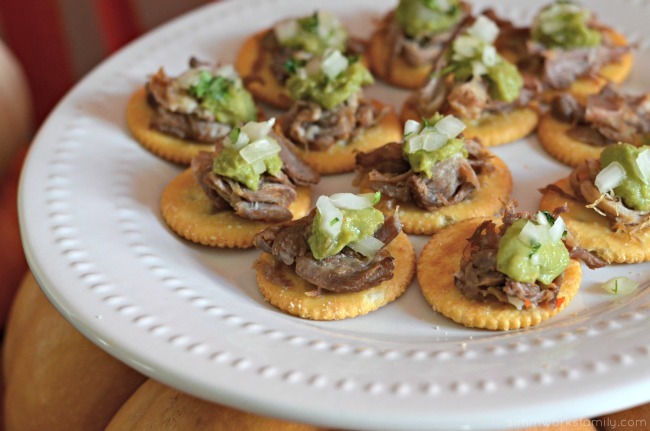 Do you send leftovers home with your guests after a get together? I almost want to cry. Its nearing the end of another strawberry season and those sweet, juicy, red bits of amazingness are starting to become scarce again. But I couldn’t just give up on my beloved strawberries. 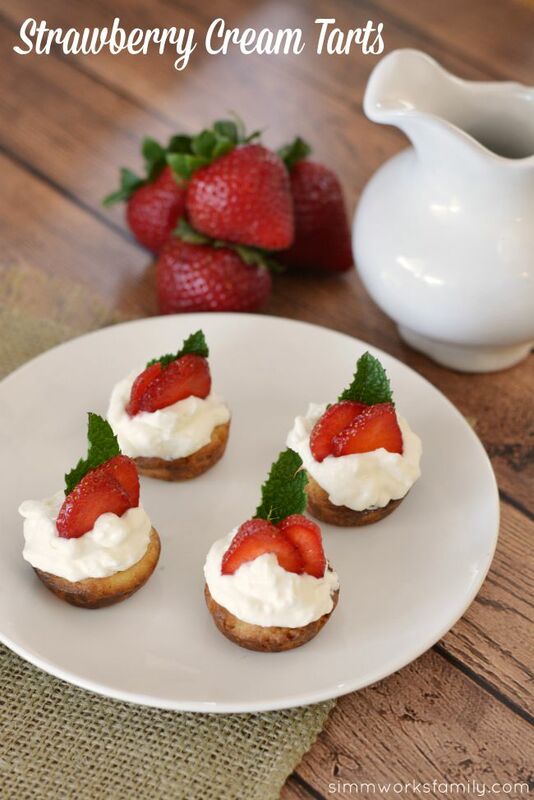 I had to celebrate our last delicious bit by making these strawberry cream tarts. Like the lemon blueberry tarts we made a few weeks back, they start off with a basic tart dough recipe that can be baked up in advance. 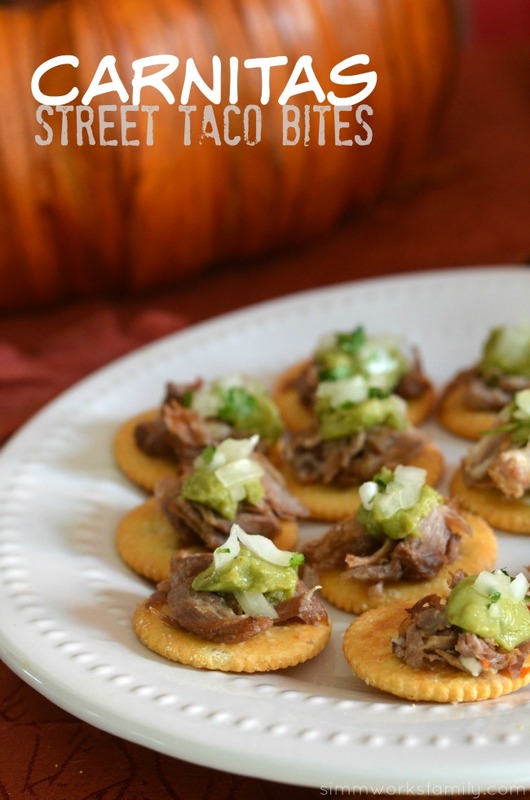 That makes these an awesome party favorite. 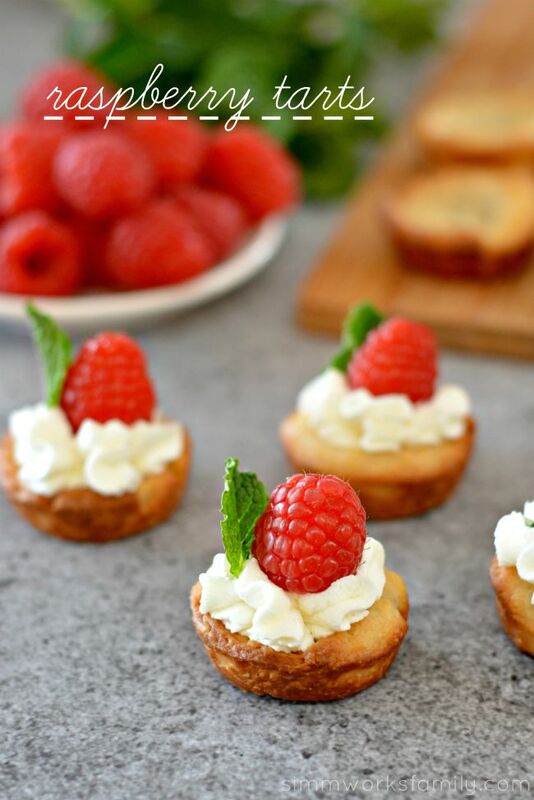 If you are having friends and/or family over, whip up a batch of these and watch them disappear just as quickly as you add them to the serving tray. Basic Tart dough, baked and cooled. In a large mixing bow, beat cream cheese and sugar. Add whipping cream and beat until stiff. 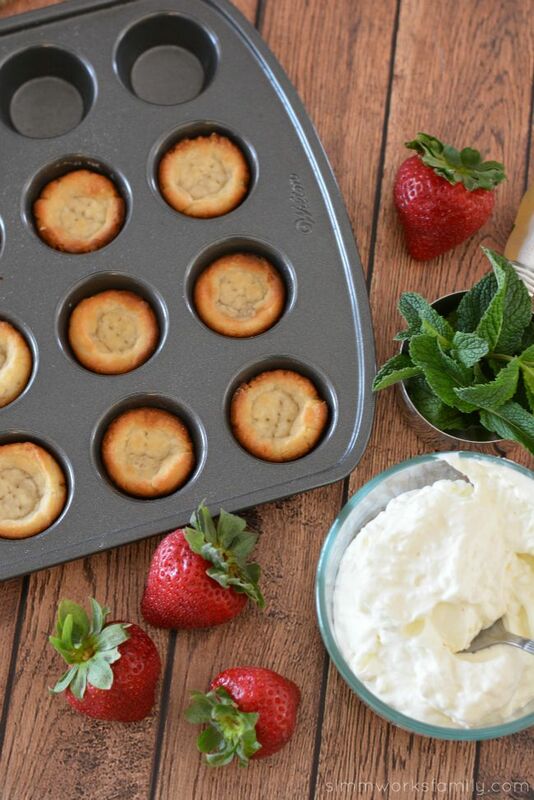 You can add more sugar, a tablespoon at a time to sweeten to your taste. 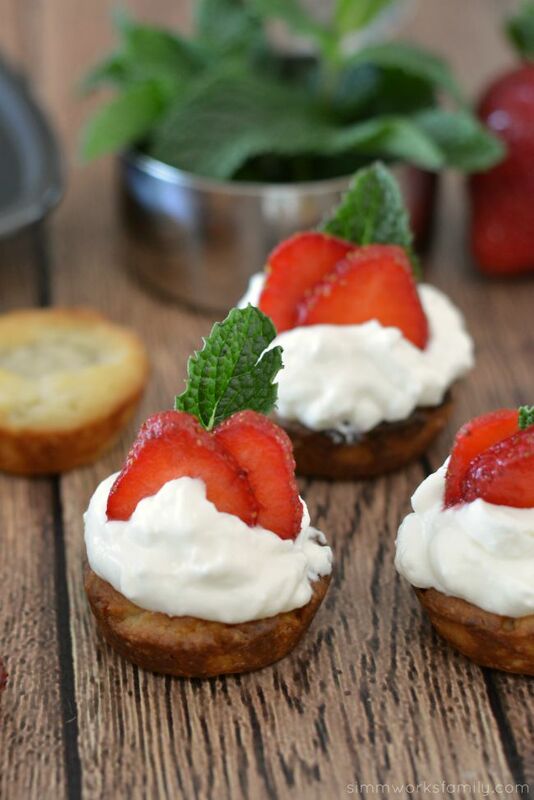 Spoon filling onto prepared tarts and top with sliced berries and mint garnish. Serve immediately. 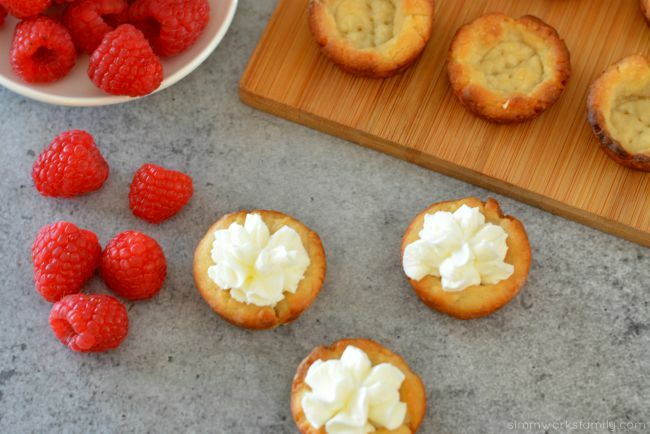 What’s your favorite tart filling?